Verify if the telephone numbers you have on your customer records are correct. Speed-to-market and information accuracy are critical to your telemarketing campaign’s success. The UpdateYourList.com DIY Portal allows you to instantly search all of our telephone number databases to verify you have the correct phone number for your customers. 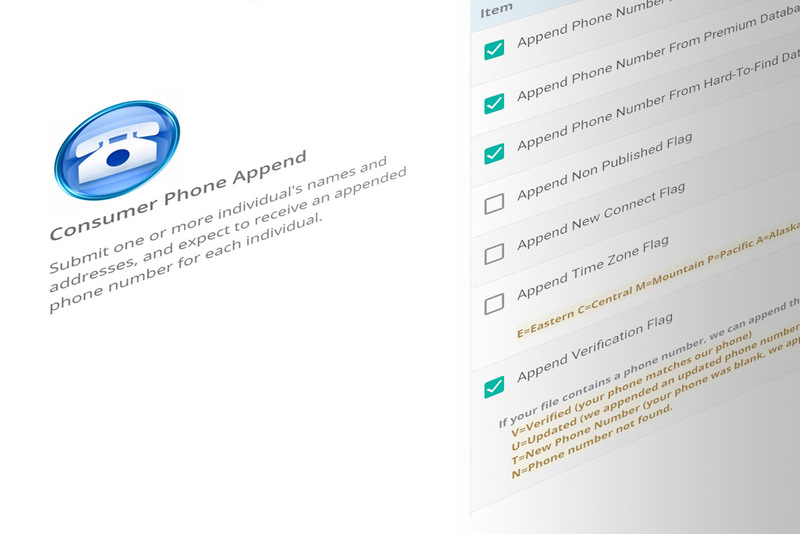 Phone number validation ensures that the telephone numbers in your customer list are accurate before you pick up the phone or send a text message.